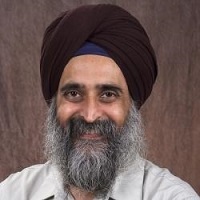 I4I Editor Nirvikar Singh (Professor, University of California, Santa Cruz) interviews K.P. Krishnan (Former Additional Secretary, Department of Economic Affairs, Ministry of Finance) on the central government’s plans and priorities for financial sector reform, and associated challenges. Dr Krishnan provides his perspective on issues including the regulatory architecture, financial inclusion initiatives, strengthening the banking system, and infrastructure financing. Nirvikar Singh (NS): What do you see as the greatest priorities for financial sector reform in India? K.P. Krishnan (KPK): In my opinion, recasting regulatory policy and redrawing the regulatory architecture, financial inclusion, financial literacy, and enhancing financial sector stability should be the highest priorities for financial sector reform in India. NS: Can you please specify a few ways in which the regulatory architecture of the financial sector in India can be redrawn, particularly with regard to bodies such as the Reserve Bank of India (RBI) and Securities and Exchange Board of India (SEBI)? KPK: To respond very pointedly to your comment regarding specific examples - one example is that all organised financial trading, for instance, the commodity derivatives, is currently regulated by the Forwards Market Commission; financial derivatives, namely derivatives on equity shares, are regulated by SEBI; and funnily enough, derivates on debt products are regulated by RBI. Now clearly at one level all organised financial trading is alike and needs to be regulated alike by one agency. So, all derivatives whether the underlying is commodity, equity or debt, interest rate, credit default swaps or foreign exchange, should all be regulated by one agency. In my opinion, that one agency logically is SEBI - that’s the kind of point I have in mind when we talk about redrawing financial sector regulatory architecture. NS: This illustrates the fragmentation that exists – a lack of logic. KPK: I wouldn’t call it lack of logic because these regulations happened at different points of time so it wasn’t that somebody thought it through and put a dysfunctional system in place. NS: So the situation was accidental. NS: What financial sector reforms are most likely to be implemented in the next twelve months? KPK: Strengthening of the bank capital base, a major push on financial inclusion, and ironing out sharp edges on capital flows are some of the reforms that are likely to be implemented in the next twelve months. NS: Can you please elaborate on the methods or channels through which the reforms pertaining to financial inclusion will take place? KPK: In terms of financial inclusion, a lot of our efforts till now have been very bank-focused and very credit-centric. However, findings of public surveys show that what people are missing both in rural and urban India are payment system products. For example, a lot of us have service providers who give us taxis driven by drivers who invariably come from Bihar, Uttarakhand etc. These guys are working here trying to send some money back home. For instance, my [official] driver told me a very interesting story – he has an account with Punjab National Bank. At the end of the month when he gets his salary, he puts Rs. 8,000 in the bank account. Since he is in Delhi and in organised employment, he has managed to open a bank account and obtain a debit card, and has handed over his debit card to his family back home. As soon as he puts money in his account and gives a missed call to his family, his father goes and withdraws Rs. 1000 using the debit card in the nearest ATM, which happens to be 10 miles away (they have an understanding that one missed call means the family can withdraw Rs. 1,000, two missed calls mean Rs. 2,000 and so on). He says that they actually have a finely worked out system. He has solved the payment problem by completely bypassing the Indian payment system regulation. What he needs is for instance, the Pradhan Mantri Jan Dhan Yojana (PMJDY), which has an excellent payment solution. One mandatory requirement for the latest financial inclusion push is a RuPay card – a debit card created by the National Payments Corporation of India Ltd., which has a bone-thin transaction fee. It is not linked to Visa or MasterCard or American Express – therefore, there is no brand-related payment. The Point of Sale (POS) machine that Business Correspondents (BC) carry can be used to deal with the RuPay card. So just imagine the spinoff benefits – you are going to populate rural India with millions of RuPay cards. The moment you do this, what is the biggest problem the villager has? Security of cash – he actually doesn’t want to keep cash because his cash is very insecure. He keeps it because he has no choice – he doesn’t have a bank account. PMJDY solves the problem by providing bank accounts. But that bank is still 12 miles away – each time he needs cash, he would have to go to that bank. But if millions of Indians have RuPay cards, the village grocery store is going to happily accept a RuPay card payment. Now, one major push of the PMJDY is what the PM called ‘bhugtaan’ (Hindi for ‘payment’). I think this came from his innate understanding and a lot of scholars have reached the same conclusion after serious research: payment solutions are an important part of financial inclusion. When the Ministry of Finance made a presentation to the PM on PMJDY, I believe his main concern was finding a way to encash payments. Under PMJDY, the BC carries the POS machine - the RuPay card holder in the village hands over the card, collects cash and uses it to make payments. The transaction fee is Rs. 5 –10. So this is one example of financial inclusion. NS: I like this example because it hasn’t gotten emphasised enough in all this discussion of bank accounts for financial inclusion. KPK: Imagine the other positive spinoff – there is going to be a reasonable possibility of moving India from a strongly cash-based economy to an electronic economy, the benefits of which I don’t need to overemphasise. With the Goods and Services Tax (GST) and other such reforms, more and more payments will be made through the electronic system, which will have enormous benefits for India. So that is the other part of financial inclusion in India that hasn’t been sufficiently understood. NS: Does the state of the banking sector pose a significant risk to the medium-term growth of the Indian economy? KPK: No. More than risk, bank capacity is the issue. The current banking system alone will not be in a position to finance an aspirational India. 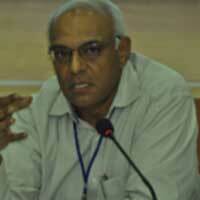 NS: Can you give some suggestions for increasing the capacity of the banking sector in India? What can supplement the current banking system? KPK: The current banking system is hugely inadequate in size. There is more than enough data – I don’t think economics has a clear metric on what is the appropriate size of banking in the country - but I think there is a lot of anecdotal evidence for us to conclude that India is hugely under-banked, not only in rural but even in urban areas. Therefore, we need a much larger banking sector for India. NS: Is there some way to speed up the issuing of new bank licences? KPK: That’s now clearly on its way. The present RBI Governor inherited an entire set of guidelines, which were already frozen; he had to stick to the applications that had been received under the existing guidelines. So the answer will need to be moving away from the guidelines and he has begun the process - he has talked about different kinds of banks and all those are clearly solutions in the right direction. I am almost certain that more banks of an ordinary kind will be an important part of RBI’s actions in the coming years – which is a good thing. The equally if not more important thing I have in mind is infrastructure financing: in the first round from 1999-2000 to 2007-08, the investment ratio in India picked up hugely. We began a massive binge of road building, electricity generation, power projects, etc. For lack of better methodology; we put all those liabilities on banks. Why is that so? We don’t have a functioning corporate bond market so we have ended up putting liabilities on the banking system - liabilities it is singularly misplaced to handle. You can understand the pressure on the policymakers. There is pressure to build roads. I can’t wait for the corporate bond market to develop; it will probably take 15 years. So can I be waiting for something in the financial system and hold up the real sector – this was the argument and we can see the consequence today. The infrastructure companies are in bad shape and they are taking the banks down with them. So this consequence clearly needs to be avoided in the next round of infrastructure building that will happen in India now, which will be even bigger than the last round. This round of road building, electricity generation companies, telecom companies, ports, etc., will require an enormous amount of financing. We don’t want to commit the other original sin – pertaining to some of your current research with Ajay Shah and Ila Patnaik on External Commercial Borrowing (ECB) by Indian firms. The other way in which we handled infrastructure financing incorrectly was by loosening the requirements for ECB. I think it’s a suicidal way of financing something where revenues are entirely domestic – if there is anything which is almost entirely non-tradable, it is the infrastructure sector. That sector being funded with external funding without the agency being forced to undertake hedging is, I think, the classic case of creating financial instability by public policy. Therefore, we need to curb ECB and bank lending for infrastructure funding. The only way to do this is - and the only way necessary - is to kick-start the corporate bond market. The fixed income markets will eventually take on a lot of the load of debt financing for infrastructure. So it is in that sense that I meant that the current banking sector alone will not be in a position to finance an aspirational India. NS: Are there specific administrative and legislative challenges to financial sector reform that you would like to highlight? KPK: Accepting big institutional reforms is a major challenge. Risk aversion is strong and gets compounded when benefits are in the distance and are not ´visible´ to ordinary eyes. One example of a big institutional reform, something on which there is near unanimity, is the separation of public debt from the central bank. That is going to require legislative reforms and serious institution building in the form of a debt office. A debt office is a peculiar animal; it has to be operationally arm’s length, but. it is the arm of a sovereign not the arm of a regulator so we have to develop a new culture of independence. This is not the kind of independence that I expect or will confer on SEBI or RBI; they have to be truly independent in terms of not being guided by governmental wisdom, whereas the debt office has to be guided by governmental wisdom as it is doing debt for the government. Operationally, it has to be independent so, it calls for a new institutional culture. Another challenge is the creation of a financial stability regulator. We learnt in 2008 that we clearly have inadequacies there; we were lucky that unlike the rest of the world our problems were still manageable. In terms of the scale of the problem, ours was relatively small as compared to the US, and we managed that stability-related problem with a temporary, ad hoc solution. But going forward, we need a proper financial stability regulator.